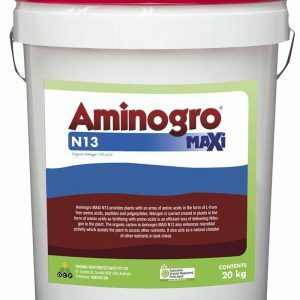 Aminogro MAXi N13 is a powder based Australian Organic Registered high analysis nitrogen source which provides plants with an array of amino acids in the form of L-form free amino acids, peptides and polypeptides. 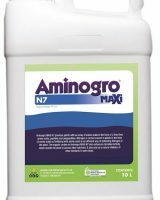 Nitrogen is use in plants in the form of amino acids so fertilizing with amino acids is a very efficient way of delivering Nitrogen. 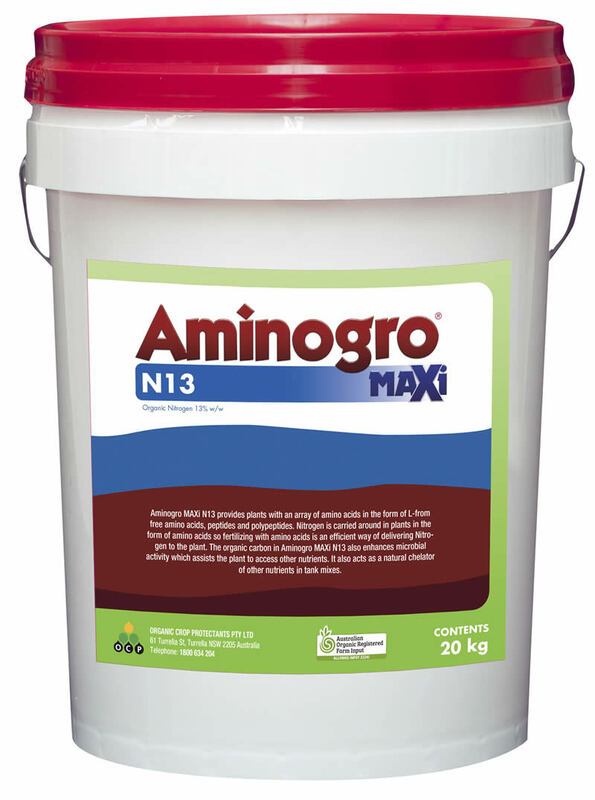 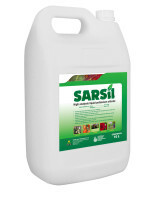 The organic carbon in Aminogro MAXi N13 also enhances microbial activity which assists the plant to access other nutrients and helps to maintain Carbon in the soil. 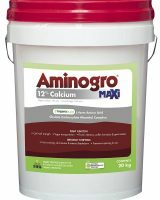 Aminogro MAXi also acts as a natural chelator of other nutrients in tank mixes.